Jack Gill has been campaigning for a stunt-category Oscar for decades, one that surely would highlight blockbuster films that audiences care about. Too bad the Academy keeps ignoring his pleas. Stuntman Jack Gill in 1980’s The Exterminator. Photographs courtesy of Jack Gill. In his 40-plus years as a stunt performer, coordinator, and second-unit director on such movies as Venom, Jumanji, and several entries in the Fast and Furious franchise, Jack Gill has dropped cars from a plane hovering at 10,000 feet (for 2017’s Furious 7) and sped through the streets of Puerto Rico in a muscle car dragging a 9,000-pound vault (2015’s Fast Five). He’s broken his back twice and his neck once. He’s accumulated 23 other broken bones, eight concussions, one punctured lung, and a finger that was sewn back on. Gill, in other words, is not easily rattled. But that changes when it comes to the Board of Governors of the Academy of Motion Picture Arts and Sciences, which for almost three decades Gill has lobbied to add an Oscar category for stunt work. Jack Gill, second unit director, stunt coordinator and member of Stunts Unlimited. The Oscar ceremony has paid tribute to the stunt community a handful of times over the years. The Academy gave a 1966 honorary award to Yakima Canutt, a stuntman and second-unit director who doubled for the likes of John Wayne and designed the chariot-race sequence in Ben Hur. Hal Needham, who did stunt work in more than 90 films before becoming a director of films like Smokey and the Bandit, received a 2012 honorary award for his work. Things weren’t much better when Gill got his first stunt job, working on the 1976 Burt Reynolds movie Gator. He’d been a champion motocross racer up to that point, and took a friend’s suggestion to visit the set, where he met Needham, the film’s second-unit director. Needham, who at one point was the highest-paid stuntman in town, took a liking to Gill and brought him on board to do some motorcycle scenes. He also introduced his new protégé to what was at the time an important stunt person’s tradition. 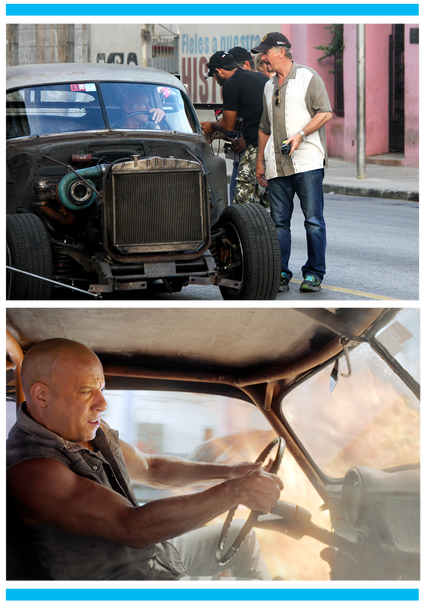 Top: Jack Gill consults Vin Diesel on the set of 2017’s The Fate of the Furious. Bottom: a scene from the film. Courtesy of ©Universal Pictures/Everett Collection. Gill dove right in, working on such movies as First Blood and TV shows like Knight Rider and The Dukes of Hazzard. After more than four decades and around 200 TV shows and films, he remains one of the most sought-after stunt coordinators in the business. “There’s nobody better at this sort of thing,” says director Tim Story, who worked with Gill on Ride Along and Ride Along 2. Lumet was so earnest in his belief that he helped Gill gain membership in the Academy after they worked together in 1991; Gill was eventually made a member in 1996, making him one of 14 stunt coordinators who were members at the time. There are now 68 stunt coordinators in the Academy, which has 17 membership branches and two categories covering everything from actors to makeup artists—but none for stunt workers. Later in 1991, heartened by Lumet’s enthusiasm, Gill met with Bruce Davis, then executive director of the Academy. He says Davis seemed encouraging, explaining it could take three to five years to persuade the Board of Governors to, first, create an action branch in the Academy, and then to get them to O.K. an award. The Academy’s “Sci-Tech” Awards, handed out at a separate ceremony before the main Oscars telecast, honor the role that science and technology play in making movies. 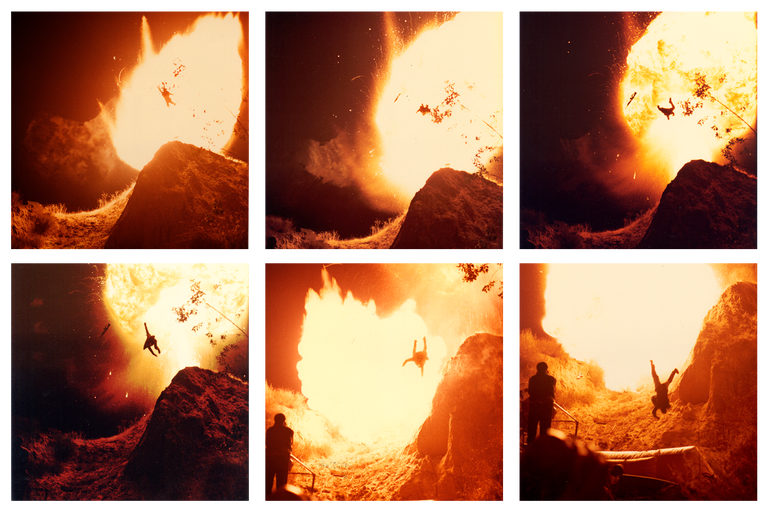 According to Gill, a stunt award would fit right in because of all the rigging and technical aspects that go into creating a modern action sequence. The Academy has rejected every one of his suggestions with as many lines of reason as he has broken bones. He says he was told that stunt coordinators didn’t have enough potential members to give them their own group in the roughly 9,000-person Academy. There was the assertion that stunt people should remain in the background because moviegoers want to believe that actors are really performing the action. Then, there was the sentiment that, if stunt people got awards, they’d start doing more dangerous action sequences in an effort to win an Oscar. Stunt work is dangerous. While it’s tough to pin down the number of safety-related injuries, in 2017 two stunt people were killed in on-set accidents on Deadpool 2 and The Walking Dead. 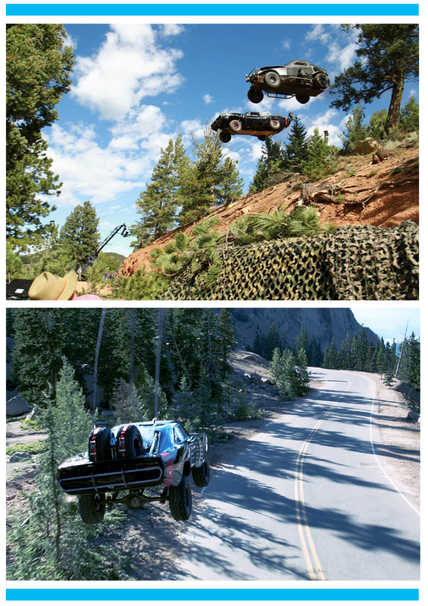 Car action scenes shot in Pikes Peak, Colorado, for 2015’s Furious 7. Courtesy of David Graves/©Universal Pictures/Everett Collection. Gill scoffs at the idea that a stunt Oscar would reverse this trend, and figures it was born from the Board of Governors not understanding the work of stunt coordinators—the ones who would receive his proposed award. In 2012, he sent the board a 20-page booklet outlining the difference between coordinators—the ones who work with a director to map out the logistics of every action sequence—and stunt performers, who actually do the work once cameras start rolling. None of this has had any effect, which has left Gill and many of his peers convinced the Academy has something against stunt performers. Story thinks some level of ignorance about the work might also be a factor. “I know what they go through, so with all the other categories we acknowledge, why not them?” the director says.